As the healthy only child of a White United Methodist minister and his co-community-leader wife in a series of small southern farming communities, Ellen grew up conventionally. Her playfulness was supported by her affectionate parents and by friends at church and school, where she saw herself as able to behave and achieve. Like many in her white-privilege world, she first dreamed about doing "good" in the abstract, without noticing the social justice issues close to home. Ellen's course was set when she learned to lead groups in folk dances, songs, and stories-along with mental challenges and spiritual explorations-through the Methodist Youth Fellowship, especially at summer teen weeks at Louisburg College. 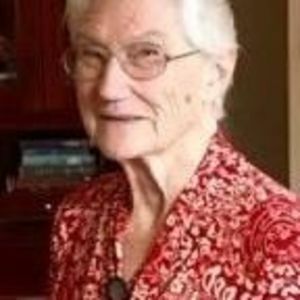 Her loving and mutually appreciative relationship with Dewey Yarborough-begun at Methodist Youth Fellowship sessions and continued through college years-led to their marriage one year after her 1955 graduation as a Re-creator from the Woman's College of the University of North Carolina (now UNC-G). For decades in Winston-Salem, Dewey and Ellen Yarborough were an active and committed Team, exploring God's will and Society's needs for discernment and personal responsibility. Their values were congruent, while their harmonies and the "teams" on which each played were sometimes similar, and sometimes complementary. They shared the love and guidance of their children Mark, Lynn, Bryan, and Beth-whose own values and competences (and those of their spouses and children) brought bright joy to both Dewey and Ellen. All meaningful games include challenges, growth, and balances, and the Yarboroughs found life to be full of opportunity for learning and for the kind of win-win-win experiences that added meaning to their relationships and situations. After his death in 2008, the influence of Dewey's Christian Love and Joy continued in Ellen's life-and in the lives of their family: Mark and Valerie R. Yarborough, Sarah Yarborough and Victor Lytvinenko, Tim and Alex B. Yarborough; Lynn, Cary, Caroline, and Charlotte Saul; Bryan and Mandy Yarborough, Cameron and Erin ("Murphy") Yarborough, Eliot and Lucy Burnhams; and Beth, David, Jacob, and Hannah Smoot. Other forces guided Ellen's growth personally, professionally, and spiritually-as she continued vigorously to play the Game of Life with its joys and challenges: her first job at the YWCA-with its emphasis on inter-racial respect and bridge-building-brought Ellen and Dewey to civic activism and systemic anti-racism, further bolstered within Christian associations. Counseling and mediation employment at Forsyth Mental Health, The Children's Home, Blumenthal Jewish Home, and Trinity Center blessedly led to ordination as a United Methodist Deacon and service in Green Street Church, a multicultural reconciling United Methodist congregation. Also in Winston-Salem, Ellen's sense of community found expression in the West End and West Salem Neighborhood Associations. Throughout her career, Ellen identified her role and ministry as a Re-creator. Membership with Dewey in the Association for Couples in Marriage Enrichment (now Better Marriages) underscored the importance of working on intimate relationships throughout life. Her Rotary Scholar year in England with Drama Exemplar Dorothy Heathcote deepened her understanding of informal education. Service with the March of Dimes included a focus on maternal and infant health. Spiritual awareness of environmental challenge was a factor in her Stewardship of the Earth. Residence in Arbor Acres United Methodist Retirement Community-and near family in Raleigh after her May 2017 move-provided a healthy, supportive, and pleasurable environment, with the freedom to continue pursuing God's will and discovering the right Games to be playing at each phase of her life. "Love God and do as you please!" (Augustine of Hippo) and "Put everything in your life afloat upon God" (Oswald Chambers).